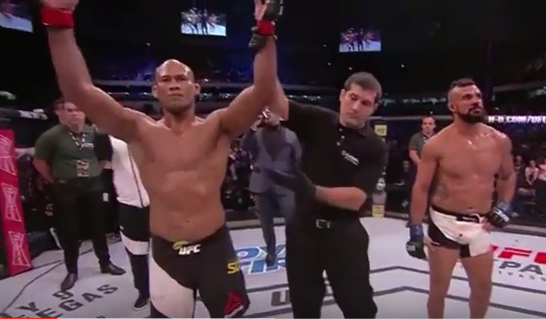 “Jacare” Souza battled the lower ranked Tim Boetsch at UFC 208 in order to stay busy, and the middleweight intends to keeping fighting, rather than sit idle while waiting for a title shot. Souza was scheduled to face fellow contender Luke Rockhold last November, but the latter had to withdraw due to an injury. Since no top ten contenders were available to fight, Souza agreed to face Boetsch. The Brazilian star went on to submit Boetsch in the opening round. Souza also said that he’s interested in facing Romero again, if the opportunity arises. Romero, however, is expected to fight champion Michael Bisping next.